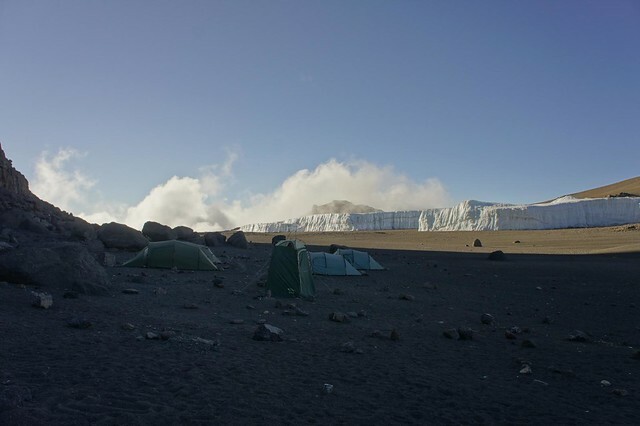 A night at crater camp can be added to most routes. 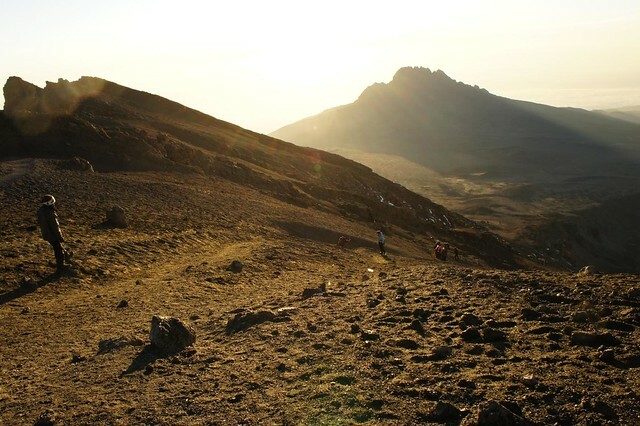 After summiting Uhuru Peak, you head down into the crater and set camp at an altitude of 5,790m in a harsh lunar landscape. 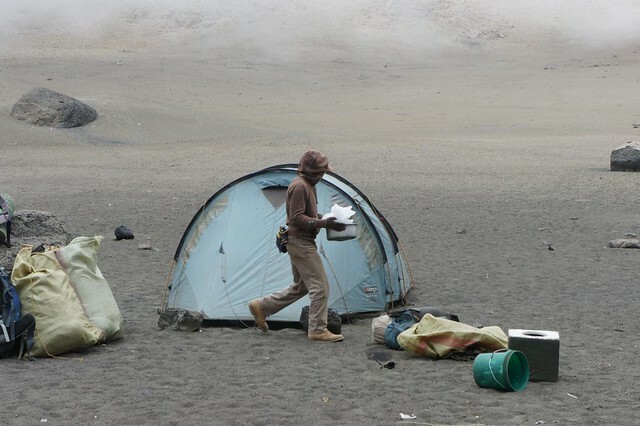 This gives you the day to explore the frankly astonishing sites of the crater before heading back the next morning to catch the sunrise on the crater rim. 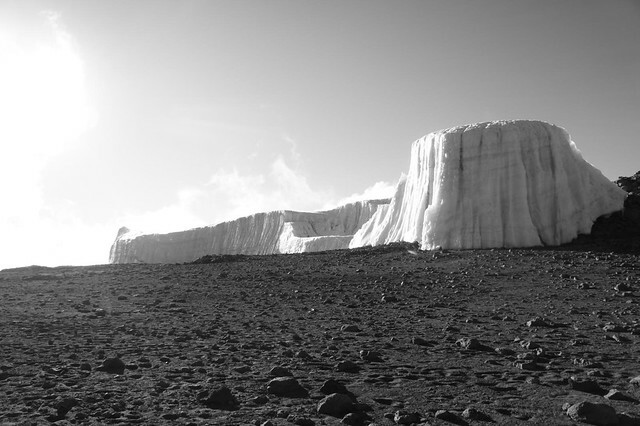 For those who can bare the physical discomfort, Crater Camp is often the highlight of Kilimanjaro. The landscape is the closest you will ever come to stepping onto the moon. 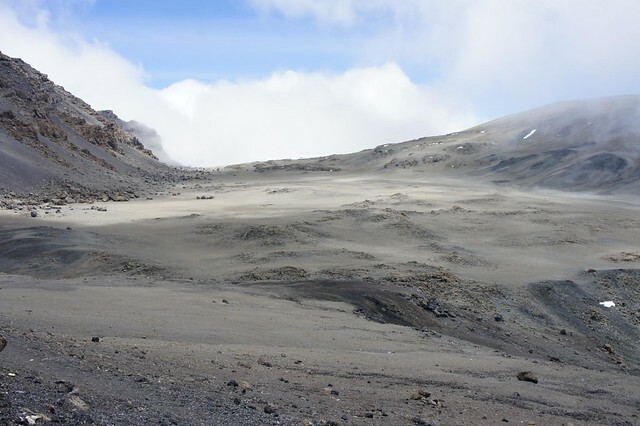 The floor of the summit is covered in deep ash sands and lumps of raw volcanic rock. 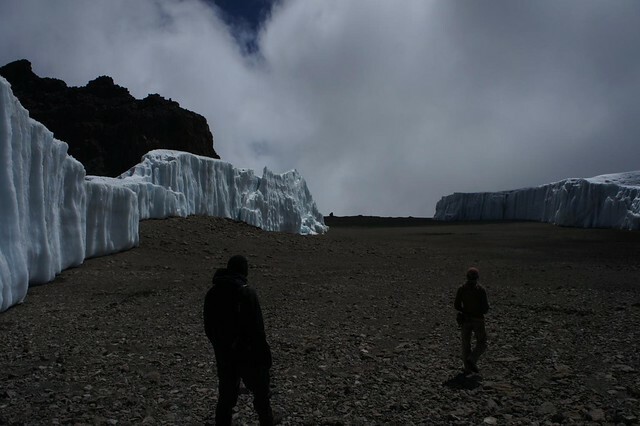 A deep blue glacier sits within the crater, begging to be explored whilst in the middle is the frankly terrifying ash pit, reminiscent of Star Wars barbed hole in the desert sand. 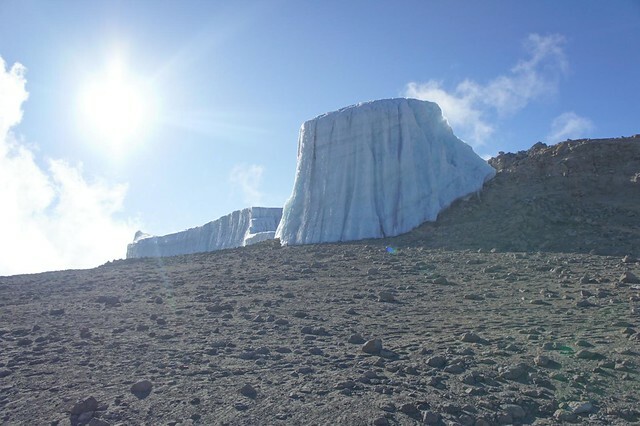 If the sun is up, it can actually be quite pleasant in the day time, but as soon as dusk falls, temperatures plummet down well below freezing (-15 to -25 degrees C) and lucky is the climber who doesn’t succumb to a piercing overnight headache. Not the raw ingredients for a good night’s sleep. 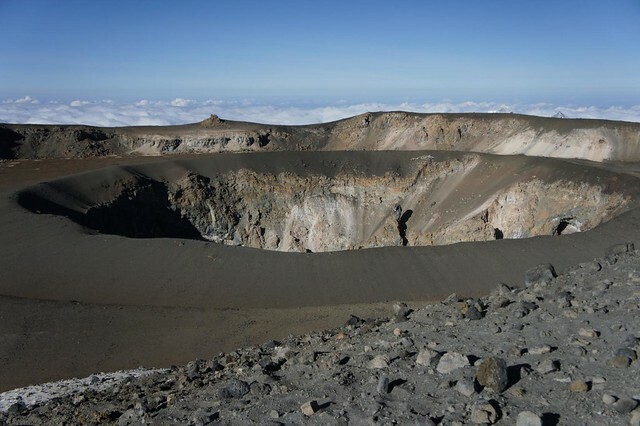 In the morning it is an easy walk to the rim of the crater for sunset (and a frankly smug view of a new days’ set of climbers struggling up the mountain). And then you can attack the descent with a renewed vigour. 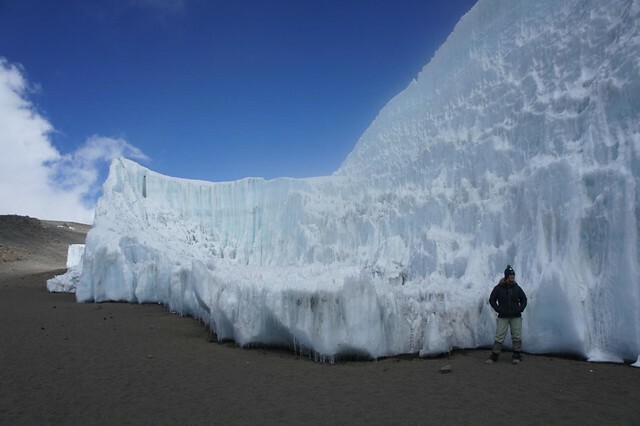 It is not in any way advisable to spend a night at Crater Camp on the way up to Uhuru Peak. Quite frankly it would be madness. 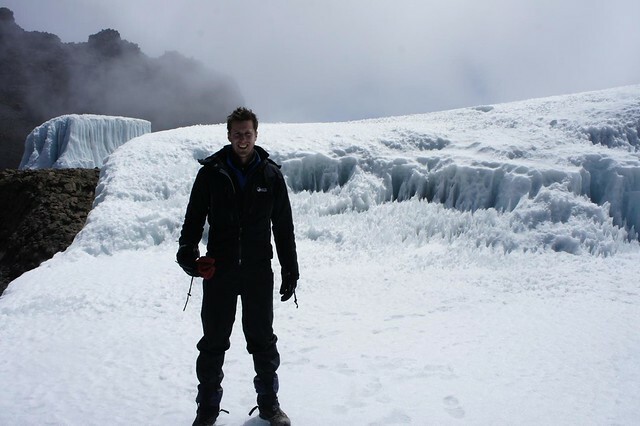 You have zero climb high sleep low differential, and stopping just 200m short of the peak is bonkers.